It’s DKP at her best! Enjoy! Early September 2012 I heard (and met) Italian dhrupad singer Amelia Cuni in Göttingen, where she did a concert titled Cosmopolit@n Ragas. It was a beautiful musical event in two parts, starting out with Amelia Cuni’s performance of a raga in traditional dhrupad style. Then she took things in another direction by presenting her dhrupad-styled improvisational skills in a very different musical framework: she performed John Cage‘s Solo for Voice 58: 18 Microtonal Ragas. Here I like to share a beautiful recording of Amelia Cuni interpreting this work of John Cage. Enjoy! His singing soo inventive, his style soo innovative. Amazing. 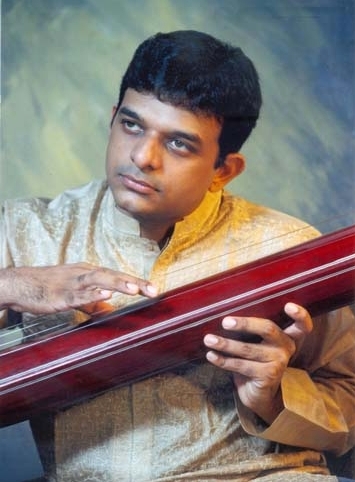 An hour of beautiful raga music by Ravi Shankar (sitar), Parthasarathy Desikan (vocal), Jayanthi Kumaresh (veena) and Vishwa Mohan Bhatt (slide guitar/mohan veena), in Wereldmineralen, Friday April 29th. 2011, 19.00-20.00 (dutch time), a broadcast I’ve produced for The Concertzender. 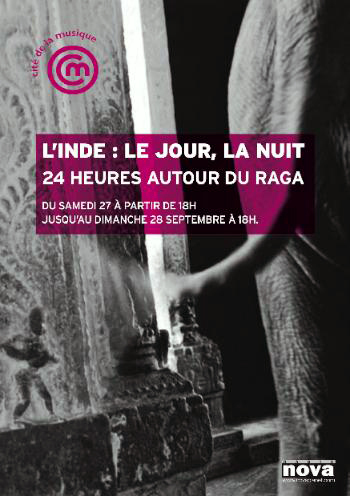 On Saturday 27 and Sunday 28 september 2008 the Cité de la Musique in Paris offers a unique 24 hour raga-weekend of live concerts, with evening and night raga’s in ‘une nuit’ on saturday and with morning and afternoon raga’s in ‘un jour’ on sunday. 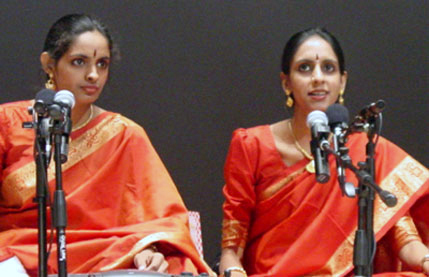 Some of today’s greatest hindusthani and carnatic artists are performing. There’ll be concerts by a.o. Sudha Ragunathan (vocal), Kaushiki Chakrabarty (vocal), Amjad Ali Khan (sarod), Shashank (bansuri) and the Gundecha Brothers (vocal). If you want to have a look at the complete programme, see: ‘la nuit du raga’ and ‘le jour du raga’.